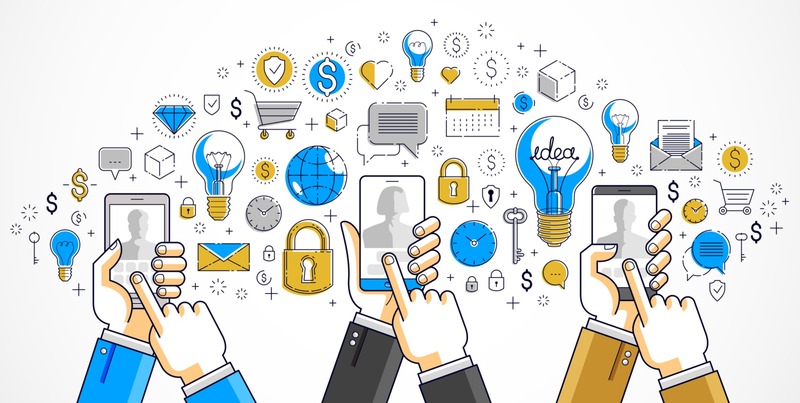 The starting point of being a thought leader on LinkedIn is to use social selling as a way to connect with high potential prospects. 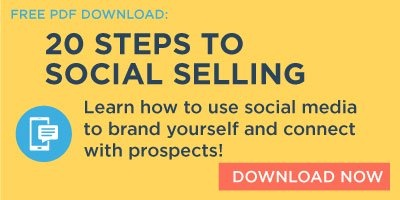 Through social selling, you can illustrate empathy, expertise, and problem-solving ability which helps you build trust and create value for those who want to engage with you. I am still surprised by the number of salespeople I meet who don’t use social selling as part of their attempts to connect with a high-potential account. Many tell me they are connected with current customers, but not with prospects. I tell every salesperson who doesn’t attempt to connect with prospects on LinkedIn that they are missing out. For every seller I talk to who doesn’t use social selling, I know of one who is, and who is successful at generating new business. So why wouldn’t a salesperson add social selling to their approach? Well, I asked and learned the resistance stems from a couple of areas. Most either feel their profile doesn’t reflect their professional brand or it's not strong enough to share with prospects, and they don’t want to draw attention to it. Sometimes it’s a combination of both. No matter what’s holding you back, here are some tips to get you started (PLUS a great guide on social selling at the end to download). This is an easy fix. Follow these steps below, and help your professional brand stand out! First, I recommend you turn off your profile update notifications. If this is turned on, your connections are alerted that you updated your profile. Also, make sure you aren’t viewing in private mode. With a great profile, you want others to see you and be able to view your profile, too! Upload a great headshot. Notice I didn’t say professional. With mobile phone cameras today and Bluetooth tripods, you can take a great picture of yourself or have someone take it for you. Choose some good lighting and background and keep snapping pics until you are happy with one. When you upload your profile photo, consider your background photo as well. Make both images reflect the professional brand you want to showcase. Speaking of your professional brand, this is the brand you want to be known for by potential buyers of your products and services. Write your header and summary with this in mind. For example, your job title may include “Business Development,” or “Account Executive,” for but what you do is “Provide Businesses With Solutions,” or “I Generate Results For My Customers.” For your summary, when writing with your buyer in mind, it’s normal to feel like you’re bragging about yourself and that’s okay! To the person reading your summary, it’s not bragging. It’s what they can expect if they do business with you and that’s the impression you want to make with your summary. Solicit recommendations from current customers. This adds credibility to your profile. When asking for a recommendation, lead with some ideas on what you’re looking for them to say. For example, ask if they’d be willing to share what they like most about working with you or ask them to recall a meeting they had with you where they realized you were the partner they chose to buy from. Giving the person a prompt can help save time and is often appreciated. Social selling is simply using social media to help influence your sales process. To start, I recommend you join groups that may be of interest to your buyers and customers. This can help provide you with content to share and also help you think like your buyers. When you do share a post, either from another LinkedIn user or from a website that has content you feel your audience would be interested in, add a sentence or two on why the content is relevant. Include hashtags in your post that are relevant to your business and your customers. If you post public (“Anyone” is selected), hashtags help your post be seen by others who follow the hashtags you chose to use. Not all hashtags have large followings so choose hashtags wisely. Post often, and don’t be afraid to post something twice. There’s a lot of content on LinkedIn, and it’s easy for a post to get lost and forgotten about. Don’t assume because you posted it that people saw it. “Views” don’t mean much more than it came across someone’s feed - it may never have actually been read or even skimmed..
Make sure you "allow followers" in your privacy settings, and take inventory of your followers on a weekly basis. If you are providing value with your posts, you will see an increase in followers. Some followers might be excellent prospects! If you think one might be, ask to connect - but don’t pitch or try to sell something at this point. When requesting to connect, include a personal message. While there’s a lot more involved in thought leadership and social selling, these tips can help you get started. 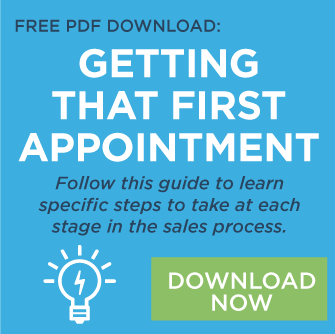 For a guide on social selling, click below and download today!